High stability, high efficiency, no heat shock necessary. For Research Use Only. JM109 is a K strain bacterium that provides minimized recombination and aids in plasmid stability which results in high quality plasmid DNA preparation. The strain carries the hsdR17 genotype, which prevents cleavage of heterologous DNA by an endogenous endonuclease. 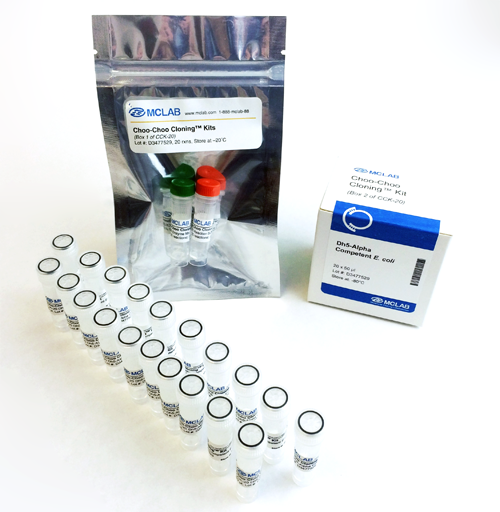 JM109 strain supports Alpha-complementation for blue/white screening for recombinant plasmids. The presence of the F' factor also allows growth of bacteriophage M13 vectors for rescue of single stranded DNA. Transform efficiency is around >1x109 cfu/µg with pUC18 control DNA.